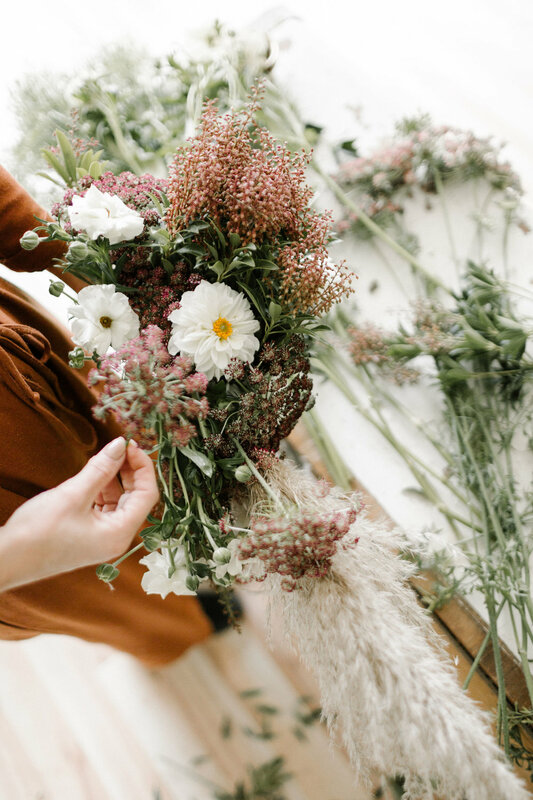 Founded by Erin Ostreicher, Nectar & Root provides custom floral designs and styling services for guidance with all of the visual aspects of your wedding day. Erin Ostreicher is the passionate creative director behind Nectar & Root. Erin has freelanced for renowned NYC-based floral designers such as Amy Merrick, Ladies of Foret, and Sierra Steifman of Poppies & Posies, and she has provided her services in a range of settings from Brooklyn’s urbanized Green Building to the shores of Rhode Island, The Union League of Philadelphia, and Vermont’s historical Coach Barn at Shelburne Farms. Erin graduated from Skidmore College with a concentration in studio art and creative writing, and she later earned a certificate in Floral Design from the New York Botanical Gardens’ Summer Intensive Program in the Bronx. Aside from her deep love of flowers, Erin also finds inspiration from interior design, apparel trends, homespun dinner parties, antique artisan wares, Vermont’s seasons, and good old-fashioned love stories. Erin’s work has been featured on Martha Stewart Weddings, Style Me Pretty, Green Wedding Shoes, 100 Layer Cake, Botanical Brouhaha, Brides, Snippet & Ink, Elizabeth Anne Designs and Wedding Sparrow. To see the full list of features, visit our Press page. 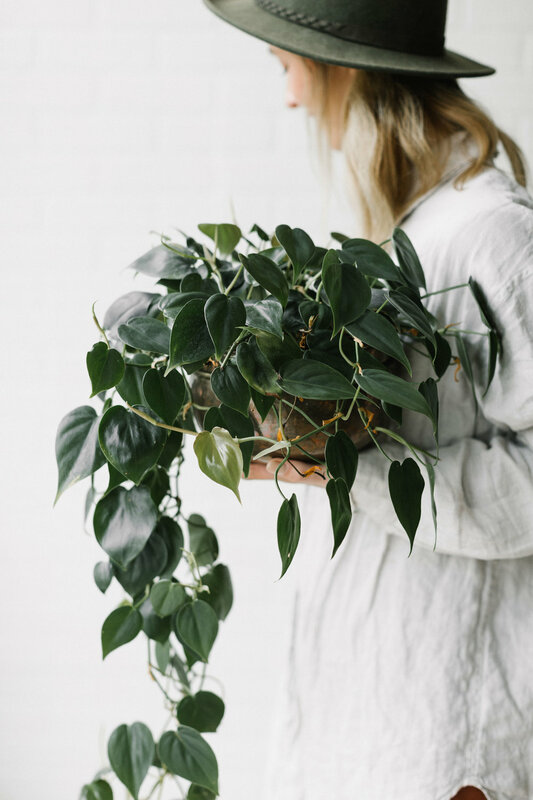 The name Nectar & Root embodies Erin's love for the sweet, alluring process of floral design and the fulfillment each collaborative project brings her and her clients. Nectar & Root is comprised of a team that includes Erin as well as other assistants, freelancers, and day-of helpers to help each client with everything possible. We are based in Vermont with a second studio base in Connecticut, servicing weddings throughout New England and beyond. Our Vermont studio is located in the heart of Winooski, in a neighborhood of industrial factory-turned art spaces and small businesses, at a cross-section of many other working artists and crafts people who inspire us everyday. We provide custom floral designs and additional styling services for guidance with all of the visual aspects of your day – such as linen selections, menu presentation and additional visual vendor choices – to build a multidimensional, cohesive look and feel for your occasion. We particularly love to combine an eclectic mix of materials – new and old, masculine and feminine, in various color tones and textures – for a beautiful yet uncontrived, modern take on weddings. We believe the most genuinely beautiful events come to fruition through a combination of good communication skills, authentic inspiration, and creativity. We work in a number of ways to meet your personal needs. We understand that while some couples seek to have a hands-on approach to the many details that go into our designing process, others are happy to limit the time they put into the process, so they can focus on other things. As visual artists, we guide you through the process in a fun, organized and approachable way so that you can relax and trust that we’ve got you covered regardless. You can read reviews from recent clients on Wedding Wire and on The Knot, as well as through our Facebook page. On the creative side of things, we spend a great deal of time foraging through Vermont’s fields, farmers’ markets, plant nurseries, and flower farms for the best, most genuine products for our clients, oftentimes incorporating rare materials that can’t be sourced anywhere else. Having a pulse on what’s growing in Vermont makes each of our events unique from one weekend to the next, depending on what has serendipitously burst into bloom after a rain shower or a raise in temperature on any given day. In this way our flowers help capture the unique time and place of each wedding they adorn.We also incorporate materials from beyond Vermont, which allows us to fine-tune our designs with subtly and elegance. By mixing local flowers with other, specialty blooms we provide couples with extraordinary compositions that you will fall in love with at your wedding! (203) 451-3781 Wedding Floral Designs. Happily serving the greater New England area.